Since 1951, Nutter has offered the best deal on home loans. The Nutter family is proud to have helped thousands of families in America achieve the dream of homeownership for over 65 years. 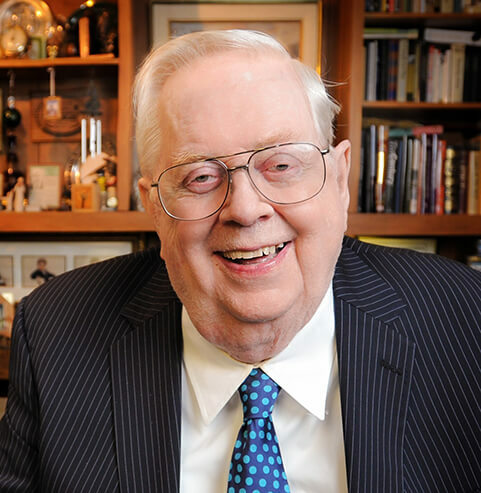 Our company founder James B. Nutter, Sr., a Veteran of World War II, grew up in the Midwest at a time when many families, including his own, were uprooted by Depressions and Recessions. After serving in the Army and saving his small paychecks, James, Sr. vowed that upon his return from the service, he would purchase his own home and help his friends do the same. Since its founding in 1951, James B. Nutter & Company has grown to be one of the largest privately-owned mortgage banking firms in America. Throughout the years, customer service has remained the hallmark of our way of doing business. It’s the reason why third and fourth generations of the same families have chosen us to handle their real estate mortgage needs. Today, the company provides low cost lending and serves homeowners in all 50 states. President and CEO James B. Nutter, Jr., is an outspoken advocate for consumers, and was one of the first national experts to warn America’s homeowners against sub-prime and exotic loans. “Our goal has not changed since dad started the company in 1951, and that is to fairly and honestly help people become and remain homeowners, at the lowest possible cost and interest rate. We believe that homeownership is at the core of our country’s strength.” – Jim, Jr. Founded the true No Closing Cost Refinancing Loan in 1985, and has closed more than 100,000 loans since then. The first lender in the nation to close and sell a Reverse Mortgage, which allows the borrower to receive a monthly payment backed by the equity in their home. Among the very first American lenders to recognize the income of Women as a part of the family’s financial base when qualifying for a home loan. Selected in 1995 as one of the first three lenders in the country to sign the HUD Fair Lending/Best Practices Agreement. This voluntary agreement formally recognized our continuing efforts to promote homeownership for historically under-served borrowers while utilizing safe, sound mortgage lending principles.